Aaron Ardiri - IoT Blog: HomeKit - Great start but other platforms? >> HOMEKIT - GREAT START BUT OTHER PLATFORMS? 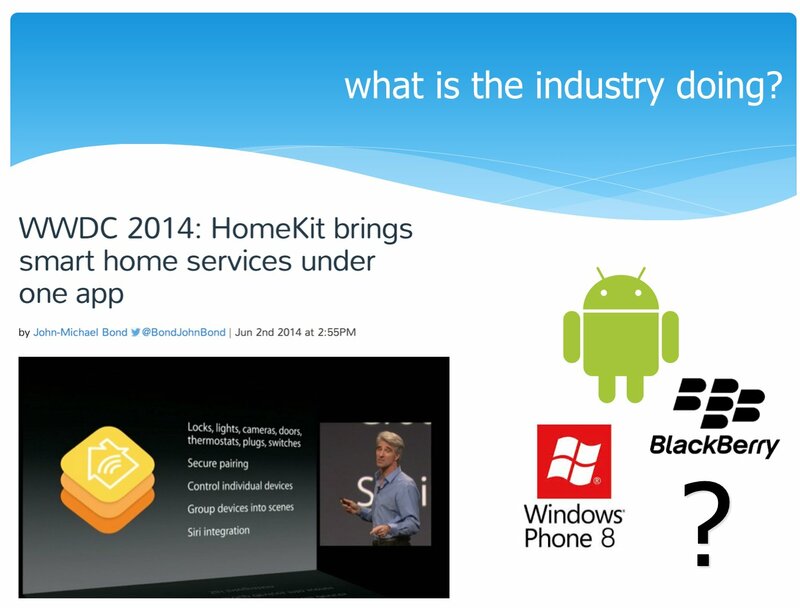 Apple recently announced HomeKit during the keynote at WWDC in California. I was in München presenting at the EIT ICT Idea Challenge and I took the opportunity to raise during my presentation how this was a great start for standards within the IoT space - but it seems that Apple really is just making a land grab and at the same time locking developers who use this framework to their platform. So what about the other platforms? It would be great to see HomeKit and HealthKit be a collaborative effort between as many players as possible (hint: google, Samsung, LG et al) and push for a real standard creating a single framework that will work across all platforms. The last thing developers need is more fragmentation to deal with - if Apple doesn't share this with others and collaborate we will simply need to deal with more frameworks for each platform. I guess this only opens up the opportunity for someone else to solve.